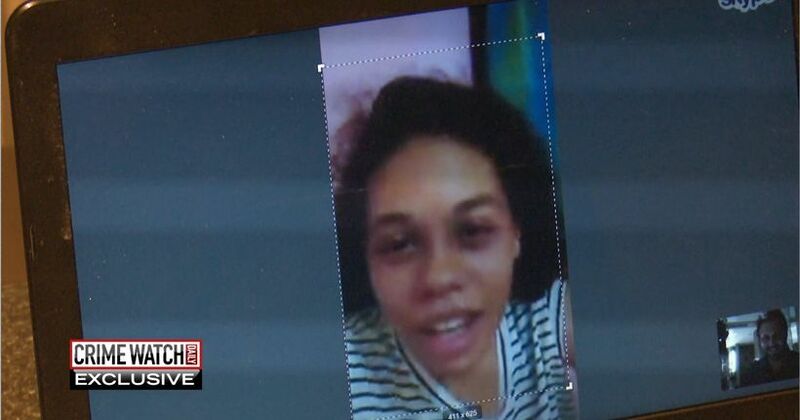 Chicago woman Heather Mack, imprisoned in Indonesia for killing her mother in 2014 in Bali, has given up her claim to her mother’s estate, WGN reports via the Associated Press. Mack’s daughter, Stella, will be the sole beneficiary of the estate. Other details of the settlement filed this month are confidential. It's the blockbuster murder case that made headlines around the world: A rich girl named Heather Mack brutally kills her own mother while on vacation in Bali, then stuffs the body in a suitcase. In a Crime Watch Daily Exclusive, Heather Mack is talking to our Matt Doran from behind bars. Heather talked to Crime Watch Daily for nearly 30 minutes, during which she revealed all-new details about what happened in that hotel room the day of the murder, and in the months leading up to the callous killing. The big question you need to decide: Is she telling the truth? Chicago-born Heather Mack is among the world's most infamous young female killers. With access to her own social media account, she posts video of herself smoking, dancing, even partying -- all the while trying to raise her baby, Stella, inside Indonesia's Kerobokan Prison on Bali island, one of the most notorious prisons on the planet. It is an exclusive, explosive interview that will leave you questioning all you thought you knew about the teen killer convicted of slaughtering her own mother during their family vacation. DORAN: To the extent you can remember, what can you tell me about your mother's final moments? MACK: She went nuts. She was screaming and screaming and telling me that's when I was going to die, that was when I was going to die. But how on Earth did a pregnant 19-year-old who grew up in a wealthy Chicago family end up here? She was paraded before the world as a money-hungry murderer, an American teen once facing an Indonesian firing squad for her role in the brutal killing of her own flesh and blood. Half a world away, and a virtual lifetime ago, Heather Mack was just a sweet little girl full of promise, the pride and joy of famed jazz composer James Mack and his wife, academic socialite Sheila von Wiese-Mack. "She grew up in a very nice house, and she had from all accounts a privileged upbringing," said WGN reporter Sean Lewis. "Of course they doted on her. She was a precious little baby girl and my sister's first and only child, and she felt so blessed and lucky, and it was a really wonderful family," said Debbi Curran, Sheila's sister. But sadly, when Heather was just 10 years old, her dad received a diagnosis that would change everything. "He ended up getting colon cancer, and they were on a trip, and he actually died over in Greece," said Debbi. "It was a devastating. It was tragic." After that, three became two, and the wheels of fate began spinning a little faster. In the decade after her dad's death, perhaps understandably, Heather began acting out more and more. Did Heather's troubles go beyond that of a normal teen? She started skipping school, hanging out with a rougher crowd, and even began stealing large sums of money from her own mom. But it got even worse than that. "[Sheila] told me that she was being abused by Heather," said Sheila's friend Elliot Jacobson. "She was constantly being attacked physically, and Heather had an explosive temper, there's no question about that. She would erupt at the slightest provocation." In fact, over a 10-year period, police were called here on reports of domestic violence more than 80 times. And yet Sheila still tried to keep her daughter close. In a now haunting email Sheila once sent to her friend Elliot Jacobson, she wrote: "Heather was violent tonight and left. Very scary for me and I am always worried about her. I am really scared of what she may do next." With the family dynamic at breaking point, the Macks looked to Bali as their salvation. "This vacation was supposed to be a reset to bond between mother and her daughter, and try to rebuild this relationship from the ground up," said WGN-TV Chicago Reporter Sean Lewis. Instead, the beautiful locale would become the setting for an unthinkable act of violence that would tear the entire family apart. They flew to Bali in business class, more than $10,000 per ticket, and checked into lavish rooms at the five-star St. Regis Resort. It was supposed to be just the two of them, repairing that sacred bond between mother and daughter. But authorities say Heather had other plans that involved her boyfriend, Tommy Schaefer. "[Sheila] hated him," said Elliott. "She thought he was a bad influence." Unfortunately for Sheila, that so-called bad influence was about to get involved in some very bad things indeed. Sheila Mack flew her daughter heather from Chicago to Bali, trying to repair their strained relationship. Instead, trouble would follow them more than 9,000 miles. Crime Watch Daily has the detailed text messages that would read like a manuscript for murder. It looked every bit the perfect family vacation. Sheila von Wiese-Mack and her daughter Heather checked in at the St. Regis Resort in Bali's upscale beach paradise of Nusa Dua. To Sheila's surprise, less than two weeks into the trip, Heather's boyfriend Tommy Schaefer suddenly arrived on a $12,000 flight from Chicago. "She had no idea Tommy was coming," said Debbi Curran, Sheila's sister. Sheila had wanted Heather to come on the trip to get her away from people she considered bad influences. Sheila would soon find out that in addition to the room he'd be staying in, Tommy's entire trip was being financed by a credit card Heather had taken from her mom. By all accounts, Sheila was livid. Roughly 10 hours after the wheels of Tommy's plane hit the ground in Bali, surveillance cameras capture him entering Sheila's hotel room with the handle of a metal fruit bowl stuffed under his shirt. About an hour after that, Heather and Tommy are seen heading to the lobby with a silver suitcase, which they place in the back of a taxi before running off. It's not until the driver takes the abandoned luggage to the police station that they find out what's inside: the bloodied, half-naked body of Sheila von Wiese-Mack. She had been bludgeoned repeatedly before asphyxiating on her own blood. So where were Tommy and Heather? For less than a day, the media painted the pair as a modern-day "Bonnie and Clyde," young American fugitives wanted for a particularly brutal murder. But their time on the run would end at a budget motel less than a mile from the crime scene. Staff became suspicious after discovering the lovers had checked in without any luggage. "Heather and Tommy had told the story that an armed gang had abducted all of them, and the armed gang had killed Sheila," said Sheila's brother Bill Wiese. During their investigation, police find a pair of cellphones containing a digital trail leading right to Sheila's final moments on Earth. Messages obtained by Crime Watch Daily indicate Tommy Schaefer never went to Bali for a holiday. In those texts to a Chicago cousin named Robert Bibbs, Tommy reveals he and Heather meticulously designed Sheila's murder a full six months before the murder. Initially, as texts reveal, the plan was for Heather to kill her mother herself. "And at one point, Tommy brings a glass fruit bowl with a metal handle to the room," said reporter Sean Lewis -- the very one used to beat the life out of Sheila. It's believed that once he came into the suite, Tommy hid in the bathroom while Heather waited for the right moment, still texting as she did. "Tommy and Heather then try to cover this murder up by stuffing Sheila's body into a suitcase, wrapping it with duct tape, put it in a taxi and run off," said Sean Lewis. While America's new Bonnie and Clyde avoid the death sentence, a panel of Indonesian judges find them guilty of murder. Heather is sentenced to 10 years in prison, Tommy to 18 years. Heather begins serving time in a Balinese prison for orchestrating her mom's murder with her boyfriend Tommy. Unfortunately, Crime Watch Daily was not able to get access inside of the prison, but we were still able to reach Heather for a few seconds by Skype before the reception went out, and then again by phone. "I don't party. How would I party in a prison? Sometime I listen to music but I don't spend my days partying," said Heather. "I spend my days taking care of my daughter." To many that might come as a surprise. Heather Mack is now the mother of a 2-year-old girl named Stella, a baby fathered by her co-conspirator, Tommy Schaefer. In fact, in details she says she's revealing for the first time only to Crime Watch Daily, Heather claims her pregnancy, along with Tommy's surprise arrival in Bali, are the two main factors that lead to her mother's death. In our exclusive Crime Watch Daily interview, Heather expresses remorse and says it was only after her mom attacked her that she and Tommy committed the act. "I know it's unexplainable. I don't forgive myself," Heather tells Matt Doran from prison. "I'll probably never forgive myself."